Luk Ah Choy and Ma Hoi Sing went to the same open space near the door. Luk Ah Choy adopted the poise stance he used earlier to defeat Cheah Pak, “Single Tiger Emerges from Cave”, with his right tiger-claw in front in a right lift-leg stance. 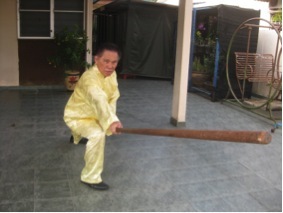 Ma Hoi Sing adopted the same poise stance in his left bow-arrow stance with two hands in front. 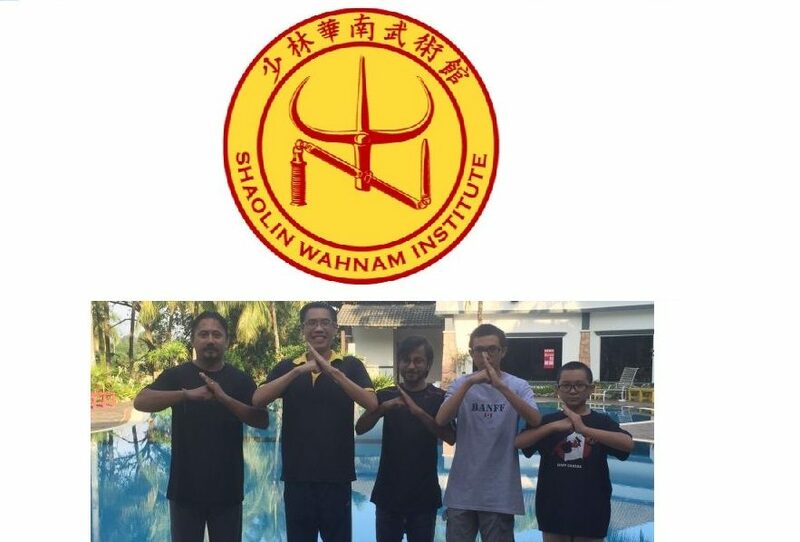 Ma Hoi Sing moved forward with a left bow-arrow stance and struck Luk Ah Choy with his left palm. Luk Ah Choy moved back his front leg and thread away the attack, then gripped Ma Hoi Sing’s left wrist with his left tiger-claw. Immediately Ma Hoi Sing struck forward his right palm. Luk Ah Choy retreated his body slightly to avoid the palm attack, and again gripped the attacking wrist with his right tiger-claw. Now both of Ma Hoi Sing’s hands were held by Luk Ah Choy’s tiger claws. If Luk Ah Choy were to grip hard on the energy points at Ma Hoi Sing’s wrists, Luk Ah Choy would have numbed the hands of Ma Hoi Sing, making Ma Hoi Sing unable to fight further. But Luk Ah Choy merely held the hands. He wanted to show Ma Hoi Sing that he could use the same technique to defeat Ma Hoi Sing, despite the saying that northern kungfu styles were known for kicks, and southern kungfu styles were known for fists. Luk Ah Choy lifted Ma Hoi Sing’s both hands upward, still holding them, thus blocking Ma Hoi Sing’s sight. Simultaneously he executed a thrust kick at Ma Hoi Sings chest using a pattern called “White Horse Presents Hoof”. But Luk Ah Choy did not kick his opponent; he merely touched the chest. Then he lowered Ma Hoi Sing’s hands, covered them well with his own left hand, and pierced two fingers of his right hand into Ma Hoi Sing’s eyes, using a pattern called “Two Dragons Fight for Pearl”. Again he did not really pierce the opponent’s eyes. He stopped an inch from target. Then he gently push Ma Hoi Sing away, out of the fighting arena. “Seng Yeong,” Luk Ah Choy said. “Thank you for not hurting me,” came the reply. Ma Hoi Sing was dejected. He went towards the table to collect his double sabres. “Actually my specialty is these double sabres,” he said. “What weapons would you use?” Ma Hoi Sing asked. “A skillful exponent can use anything to fight,” Luk Ah Choy replied. “In the hands of an expert, a hit by a wooden bench can be more deadly than a cut by a sabre. 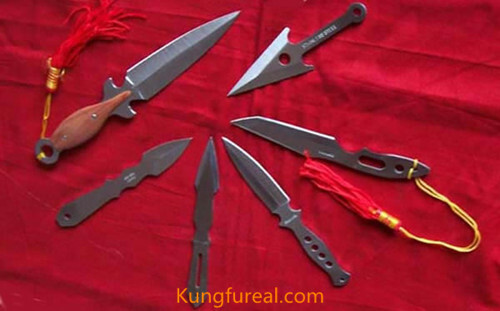 If you can cut me, it shows that your kungfu is superior, in which case I have nothing to say. But I can assure you that you cannot even touch me,” commented Luk Ah Choy. The two combatants assumed their poise stances. Ma Hoi Sing rushed forward with a right downward slash. Luk Ah Choy deflected the slash with his wooden bench. Instantly the left sabre came down with another downward slash. Again Luk Ah Choy deflected the slash with his wooden bench. For the next attack, Ma Hoi Sing changed techniques. Instead of a downward slash, he attacked with a reverse slash of his right sabre, i.e. 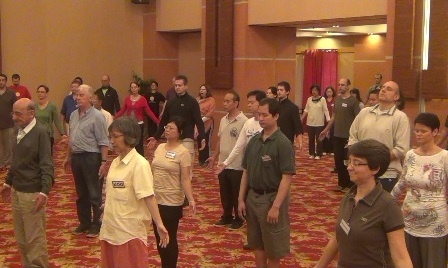 the slash moved from downward to upward, and aimed at Luk Ah Choy’s groin followed up to his body. Luk Ah Choy let the reverse slash pass his body by retreating slightly, and at just the right moment he followed the upward movement of the slash with the legs of the bench facing skyward, and by turning the legs downward again, he locked Ma Hoi Sing’s right arm, causing him to drop the sabre. 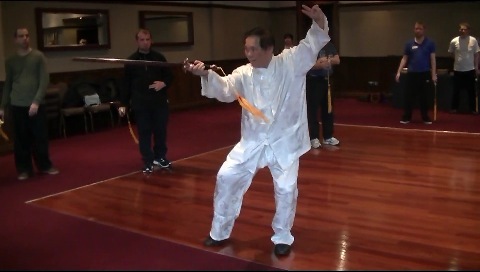 Ma Hoi Sing used his other sabre to pierce at Luk Ah Choy. Luk Ah Choy moved adroitly to his right side to avoid the pierce, then lowered the wooden bench at Ma Hoi Sing’s left arm, with the legs of the bench facing downward, slamming the bench onto the floor. 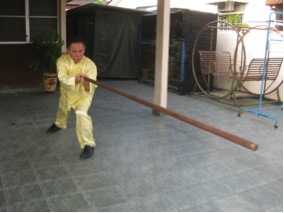 Immediately, Luk Ah Choy thrust the bench at Ma Hoi Sing, causing him to drop the sabre to jump back. Now both sabres were disarmed. Again, Luk Ah Choy said, “Seng Yeong”. “Shaolin Kungfu? 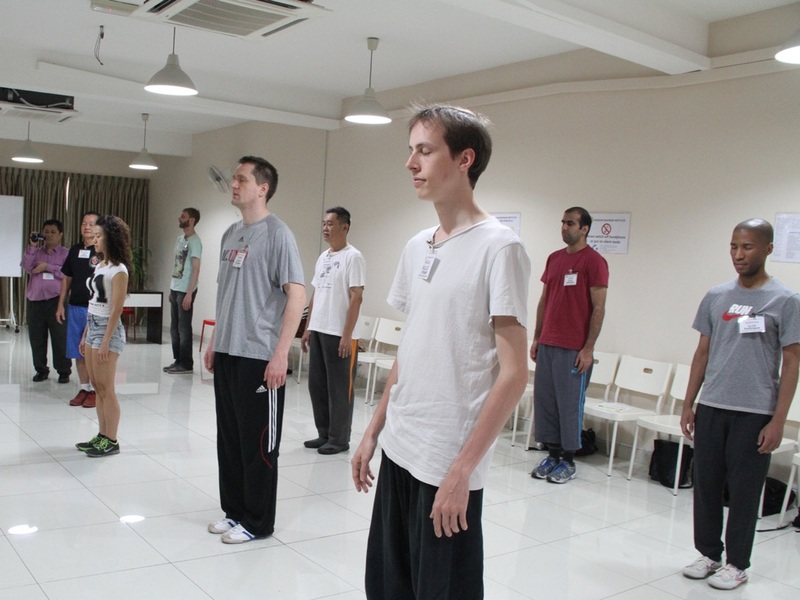 It is the best martial art in the world!” exclaimed Ma Hoi Sing. He then left the shop with his gang members. Henceforth, Luk Ah Choy’s name became very well known. Luk Ah Choy went to examine Cheah Pak. “Luckily, you are not serious injured,” Luk Ah Choy said. Luk Ah Choy earlier sold off all his medicated pills. 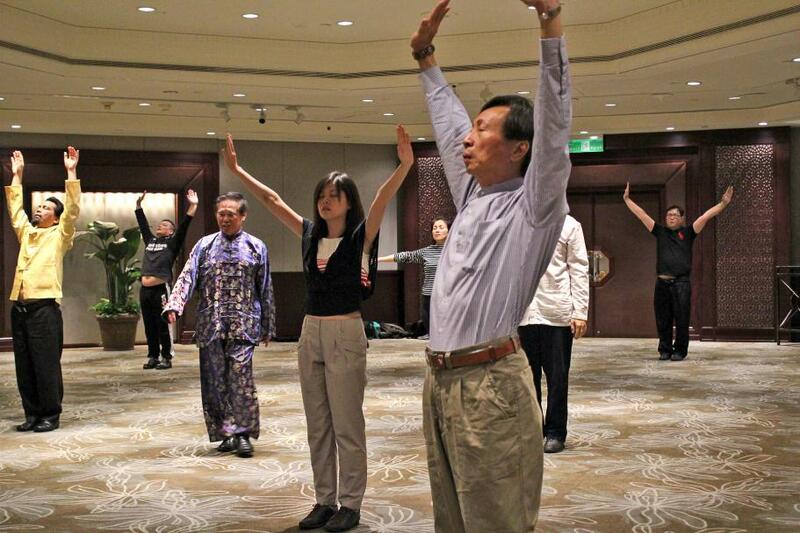 So he wrote a herbal concoction for Cheah Pak specially effective for overcoming injury. This entry was posted in Grandmaster Wong Kiew Kit, Kung Fu, kung fu culture, kung fu sparring, Kung Fu Weapons, legends, Shaolin, Shaolin Wahnam, stories and tagged Grandmaster Wong Kiew Kit, Kung Fu, kung fu culture, kung fu sparring, kung fu weapons, legends, Shaolin, Shaolin Wahnam, Stories on September 18, 2018 by Wei Joo Lee. It was a great joy teaching these school children. But the joy was greater for my parents, my wife and me when our first child, Wong Sau Foong, arrived in 1972. Her name, which means “Beautiful Phoenix”, was bestowed upon her by Immortal Li, a patron immortal in Sifu Ho Fatt Nam’s school , which also acted as a temple. Sau Foong is our first bundle of joy who brought a lot of happiness to our family. When she was small, she stayed with my parents in Penang and was a special pet of my mother. 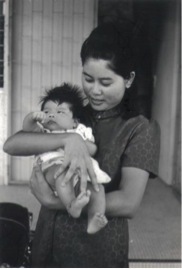 I remember that my mother used to tie Sau Foong’s hair on top of her head like a little tree when she was a baby girl. Like me, she loves reading. And like me too, she chooses teaching as her profession. She won a scholarship to study the Teaching of English as a Second Language in Bognor Regis in southern England. 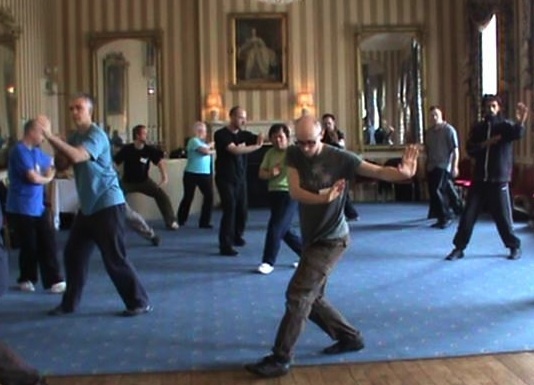 I did not teach chi kung in England then but in other countries in Europe like Spain and Portugal, but I made a special trip to England to see her. She stayed with a lovely couple called John and Bernie, and their son and daughter. Sau Foong became part of the family. Bognor Regis is a beautiful little seaside town along the south coast of England facing France. I landed in London and took a train to West Sussex passing through some of the most beautiful countryside I had seen. When I arrived at Bognor Regis, the time was 5 o’clock in the evening but it was already dark as it was winter. Sau Foong waited for me at the railway station and we took a cab to her house. The next day, we walked to the town, and through a park to the university college where she studied. We also went to the beach and looked across to France. John also took me in his car for sightseeing in the surrounding area. When Sau Foong returned to Malaysia after completing her studies in England, she was very lucky to be posted to Penang, which was the hope of many teachers. She taught in Convent Light Street, which is a premier girl school in the country. Despite being new, she was made a discipline teacher of the school. Although she loves teaching very much, at my suggestion she resigned from the school to help me with some business venture. But teaching is her love, besides her husband, of course. 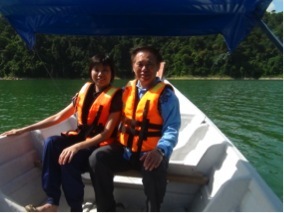 Sau Foong and Teoh Swee Fatt, an accountant, were happily married in 2004. Sau Foong returned to the teaching profession, teaching English in a university college in Penang. She returns to our house in Sungai Petani every weekend to be with us. And when she returns to her condominium in Penang, my wife will always cook a lot of dishes for her and her husband to take back with them. “At least they can have some home cooking,” my wife is fond of saying. 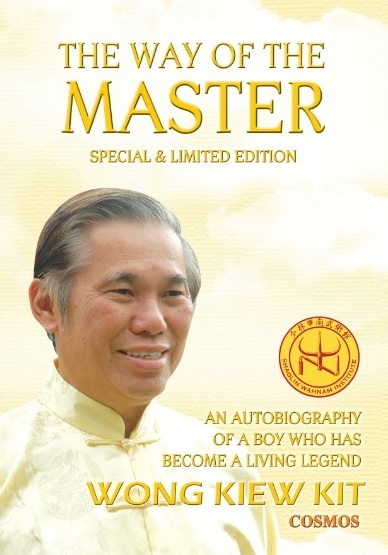 This entry was posted in autobiography, Books, Chi Kung, Chi Kung Healing, family, fatherhood, Grandmaster Wong Kiew Kit, Kung Fu, Kung Fu Weapons, Shaolin, Shaolin Wahnam, The Way of the Master and tagged autobiography, Books, chi kung, chi kung healer, family, fatherhood, Kung Fu, kung fu weapons, Shaolin, Shaolin Wahnam, Way of the Master, Wong Kiew Kit on June 23, 2015 by Wei Joo Lee.